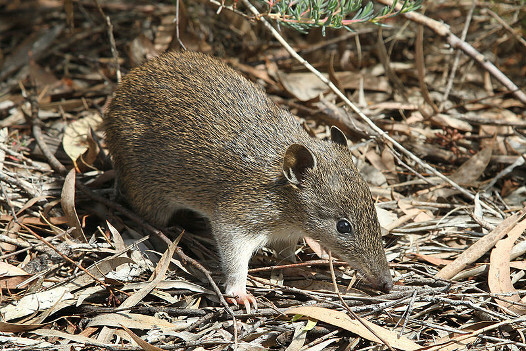 I’ve been involved with Southern Brown Bandicoots (SBB) for more than 40 years. I live in Frankston where I remember SBBs all over the Mornington Peninsula, in the Frankston area and in the Pines Flora and Fauna Reserve where they were recognised as the largest and strongest colony in the region. Sadly, I have observed them gradually disappearing from all of these areas and in many of these places they have become extinct. How could this be allowed to happen? Since 2001, went on the endangered list, a SBB recovery group was established. SBBs were selected as the flagship species in the Western Port Biosphere Reserve so they would receive special attention. At least five major workshops were held involving hundreds of people, among them scientists, government agencies, private consultants and landholders. In addition, countless meetings of the SBB recovery team were held at many places. During this time the Victorian government created strategies for the recovery and protection of them but none work. Sadly, no SBBs or habitat areas were recovered anywhere in this region. At the Pines, where some SBBs were still remaining, at least $120,000 was spent on fox and cat control. It was unsuccessful and the last SBBs were lost as well. It is now high time to admit to the grand failure in protecting this species especially in this region. As I understand, SBBs are not a corridor living species and need to be provided with habitat in large reserves like Royal Botanic Gardens Cranbourne and could be in the Pines Reserve, Briars Park in Mt Martha & several other reserves that are surrounded by a predator-proof fence. We desperately need some insurance colonies before we gamble with the rest that still survive in the wild. If this current scenario continues, we will soon reach the point where the SBB species will collapse as the Eastern Barred Bandicoot did. At the lowest stage, only 50 animals survived. Captive breeding had to prevent them from becoming extinct on the mainland. Even after numbers increased, the government managed to make some huge blunders with them. Why have we not learned from this? My question is: what is gained by delisting SBBs? Will the government be able to save some money on fox and cat control and will developers receive the green light to build houses in bandicoot habitat? We certainly have not been told everything. To declare SBBs safe because in one or two areas where fox control slightly increased their numbers is absolutely ridiculous. Take that money away and see what will happen. HB: While threats, and extinction, are normal processes of evolution, what we have now is not normal, or avoidable. The loss of another iconic native mammal is a deliberate action, a choice to prioritize housing growth, urban sprawl, over habitats. This de-listing of the SBB is not because their threats have been mitigated, and now there are abundant, safe colonies! On the contrary, their habitats will be invaded and their lives destroyed. In a void of manufacturing, mining, innovation and technological advances, housing growth- driven by high levels of immigration – is a major industry now. It means swallowing up grasslands, native vegetation, digging up fertile soils, and stagnating it all with concrete, roads and housing! 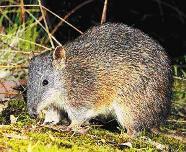 I am a Wildlife carer and a home carer for Bandicoots. These small animals do NOT STAND A CHANCE against the imported pests, like cats and foxes. Humans are destroying their habitat everywhere with all the new developments. How come these beautiful native animals are taken of the SBB list ? They need every protection possible.